While spring and summer bring new life and colors to the Great Lakes State, warmer weather also brings the potential for severe weather, which can cause unexpected – and costly – damage to your home. Roofs often take the brunt of Mother Nature’s wrath in the Midwest, so we’ve created a list of things to look out for should you suspect your home has sustained wind/storm damage. 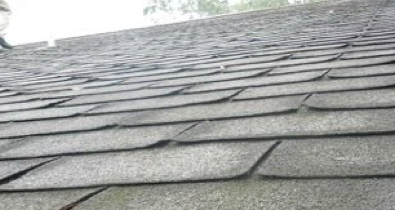 By identifying these issues early, you’ll reduce the likelihood of pervasive secondary damage that often costs more than the roof repairs required to address the issues that caused it. Whether you’re in need of an immediate repair or you’d like an expert opinion about the best course of action for your unique situation, we’ll help! Contact us to learn how we can guide you through the roof repair process – and the insurance-claims process – to ensure your home stays dry and free of costly secondary damage for years to come. Click here to get in touch 24/7, 365.